Those who used Samsung mobile phones between 2011 and late 2014 may remember ChatON. It was Samsung’s own WhatsApp unveiled in 2011. ChatON was a messenger app that the company preloaded on most of its mobile devices back then indiscriminately. Smartphones, feature phones, tablets… all had ChatON. Samsung was so into that app that it unveiled several phones built around the messenger app. More so the internet-enabled feature phones of that era. That is the past now and the company is looking ahead. Samsung announced on Tuesday that it had bought NewNet Communication Technologies, a Canadian based company specializing in Rich Communications Services (RCS). RCS is simply an advanced messaging standard that builds upon the capabilities of SMS and MMS with added support for sharing more media and location data as well as tapping into a device’s contact list to identify other users on similar RCS-based apps. This in essence means that while we may or may not get to see a Samsung messaging app, the company will be out competing with the likes of Huawei when it comes to deploying RCS infrastructure necessary to facilitate such apps at the carrier/mobile network operator level. Are operators willingly to take advantage of these apps and offer carrier grade rich communication services? 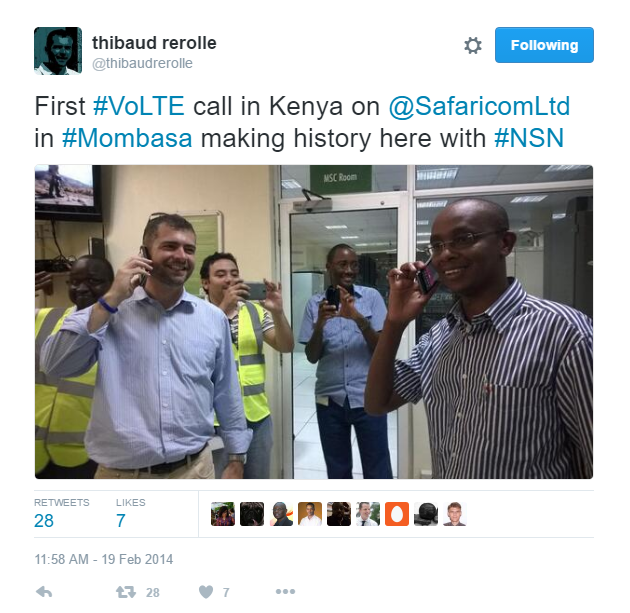 No signs of VOLTE in kenya. That’s great to hear. When I asked them a while back, they said they had no plans for a VOLTE launch.